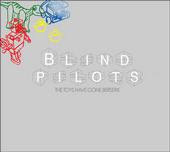 First let me start by saying: I like Blind Pilots. It's for one main reason. They remind me of the late Rubyhorse, an Irish band who actually were bigger on the other side of the Atlantic than over here. So that's one reason why I want Blind Pilots to succeed over here. The second is that they make damn good music. The Toys Have Gone Berserk is a four song EP, and my first introduction to the band. Each of the four songs is a little different, as you'd hope from an EP like this - there's nothing worse than repetition at this early stage. 'Fractured Boy' is the upbeat grinding tune, 'Seat Ga Ga' is the more relaxed atmospheric song with a gorgeous nonsense chorus, 'Stillbeats' is a straight-up pop track, and 'Jealous Hands' is the broody dark one. All-in-all, it's a really solid collection of songs, and something to really build on for the future. Few Irish artists have great debut albums. It takes most of them years practicing their craft before the release an essential record. 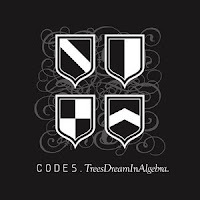 CODES have taken their sweet time about making and releasing their debut, and as a result, it's one of those rare beasts - a stellar debut album. 'Malfunctions' serves as an introduction to the record, but is not a reflection on what's coming up. As soon as second track (and single) 'This is Goodbye' gets going, you know you're onto something special. It's a song already crying out for an arena tour, and maybe even a stadium tour. It has everything needed to make it a live classic, it soars and droops, returns, and is a powerhouse of a tune. Another great masterstroke is how each song segues into the next, making this a compellingly cohesive album, rather than just a bunch of songs. Thus 'This is Goodbye' sails into 'Guided by Ghosts', a song better than the majority of the new Muse album. The production of this song and the rest moves the album above many other Irish releases as it's so glossy - this is all thanks to Manics helmer Greg Haver. Listen to 'Our Mysteries (Missed Histories)' to see what I mean. On a different record, this would have a raw edgy feel, but thanks to its smooth edges and shiny sound, it sounds like a single waiting to happen. The album isn't just shiny, it's glorious lyrically as well as musically. 'Telos' is a lovely soft intimate instrumental interlude, worthy of Sigur Ros. The band excels all-round, and lyrics like this testify this brilliance: "The faded photographs of winter / In the spaces inbetween, I find your letter / That’s when I begin to wonder, if all the hope in a new year could bring you back". Beautiful. There are tonnes of possible singles on this album, and each listen will bring a different favourite track. That's the power of this debut. Every song is a standout. 'Memorial', 'Starry Eyed', 'Cities', everything I've still to mention, is fantastic. One of the best albums of the year, and a debut to stand alongside Fight Like Apes last year. Five stars. If I could give it six, I would. It's already out in Ireland (it came out in yesterday), so if you haven't picked it up yet, or are waiting for the UK or US release date, you can stream the entire new Pearl Jam album Backspacer on MySpace. Another week, another new Ryan Adams single. Brilliant. Again, it's $1.49, and again has two tunes, with a demo of Cardinology cut 'Go Easy' as a bonus. 'Allumette' was recorded during the Cardinology sessions, and 'What Color is Rain' was originally a Foggy Notions release on the RA website. Who cares if there's four months to go? It's Bob Dylan. And anyhow, the album is out next month. Amazon has some 30 second clips of all the songs, and they sound incredible. Brilliant. Especially the last line. Great news music fans, Cat Stevens is coming back to Dublin! He's on the road for the first time in three decades and will be starting his European stint in our own capital at the O2. He's known by his actual name Yusuf Islam these days, and still records and releases fantastic pop tunes. There hasn't been a date confirmed yet, just a message on his official website, but it seems the shows will be sometime later this year, with tickets perhaps going on sale next week. More news as I get it. Patchy Set-list from Peter over at 2uibestow who was at the gig and did a lovely review. He also has some vids of Dave and support act Carol Keogh. Thank you very much Guardian Music. 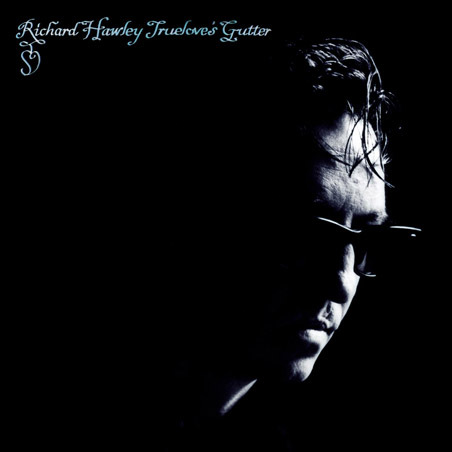 It's streaming the entire new Richard Hawley album, Truelove's Gutter. Album is out next week in the UK and Friday over here. Niall was at the show last night and absolutely loved it. He sent me the setlist too. So thanks a lot. You should check out some of his excellent posts over on culch.ie here. Also, anyone notice the family resemblance? Bell x1 guitarist David Geraghty will be promoting his excellent new album The Victory Dance at the Button factory on Wednesday, the 16th of September, and I have two tickets to give away. All you have to do is tell me what was the name of the band which featured Bell x1 members as well as Damien Rice? They had such songs as 'Weatherman' and 'The World is Dead'. Leave your answer in the comments section as well as your full name. I'm running this competition in coalitaion with Culch.ie, so you can enter on either website. The winner will be drawn at random. Check back here at 5 p.m. on Tuesday (tomorrow) to see if you've won. Once I hear about a new Glen Phillips project, I'm sold. WPA (Works Progress Administration) consists of some of the most accomplished and legendary musicians in today s American music scene. Founding members Glen Phillips (Toad the Wet Sprocket), Sean Watkins (Nickel Creek), and Luke Bulla (Jerry Douglas Band, Ricky Skaggs, Lyle Lovett) have teamed up with Sara Watkins (Nickel Creek), Benmont Tench (Tom Petty and the Heartbreakers), Greg Leisz (Joni Mitchell, Wilco, Sheryl Crow, Beck), Pete Thomas (Elvis Costello and the Imposters, Randy Newman), and Davey Faragher (Elvis Costello and the Imposters, Cracker), and long-time acclaimed producer Jim Scott (Wilco, Tom Petty and the Heartbreakers, Rolling Stones). Everyone who's going tonight, enjoy. But if you've forgotten how to get there, or are too lazy to walk, here's the Stage Times and Bus information. Here's the bus info from MCD. A limited direct shuttle bus service to the Phoenix Park will operate from Custom House Quay in the City Centre. Service will start at 4pm. A limited return service will operate after the show. Saturday excluding Public Holidays) or www.dublinbus.ie. Remember there is no Nitelink service on a Monday night. By now, you'll no doubt have heard about the controversy when Kanye West stormed the stage during Taylor Swift's acceptance speech. Swift had just won the award for Best Female Video, and was in the middle of her "thank you"s when the one-man-ego came onto the stage to protest that Beyonce's video should have won as it was one of the best videos ever, never mind this year. My problem however is not that Kanye harassed Taylor (who rightly deserved to win), but that Beyonce's video is all kinds of awful. Forget what the song is about for a minute, that's rarely important in music videos, but what is the video about? Well... nothing, it's just Beyonce dancing around for three minutes or so and grinding her hips while shaking her arm to "put a ring on it". On said arm is what can only be described as the Power Glove from 1989's The Wizard. All in all, Kanye was wrong to do what he did. Not because of poor Taylor, but because he was championing not only one of the worst videos of the year, but also one of the stupidest videos ever.